It’s National Storytelling Week, so we’re taking a look at the lessons we can learn from the ancient art of storytelling to be better at sharing stories with our children. Stories have been at the heart of human communication since we first began to speak around 100,000 years ago. We are ALL storytellers; most of us will informally share several stories a day without thinking about it – retelling a childhood memory, that moan about what your hubby does/doesn’t do around the house, telling your friend about the time your child embarrassed you in front of the lady with the hairy lip… the list goes on. Many of us will also regularly read stories to our children, but how can we become better storytellers? Choose a story that appeals to you. If you’re not captured by the story, it will be hard to convince your children of its worth (see my blog on why parents should put themselves first when it comes to picking books). There’s just no point starting your story if people aren’t paying attention. Choose a comfy spot or snuggle up together, make sure everyone who might need a wee has been (including you! ), and don’t start until you’re confident everyone is settled and ready to listen. Don’t feel you have to stick to the text. Good storytelling is about improvisation, and adapting the tale to your audience. If your children have taken particular interest in one part of the story or illustration, it’s fine to take longer over that and to step away from the central story to talk about something related to what they see. Some of the best storytellers will never tell exactly the same story twice. One of the best things about stories is they awaken children’s imaginations and expose them to new places and ideas. Allow them to ask questions about what they see and hear, and involve them in the story – that’s the best way to learn after all. Professional storytellers will use music, dance, song, pictures and puppets to bring their stories to life. 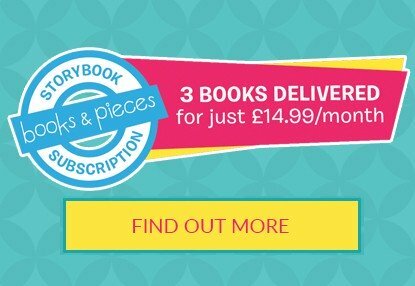 You could do the same by rounding up some toys or teddies that feature in the book, or acting out part of the story for your children. In my house, my big boys will often play the parts in our favourite stories to entertain my littlest (and me!). And if something has piqued their interest, we’ll look it up online to find out more information and see what it looks like in real life. No one likes listening to a monotone voice! Mix it up a bit by giving different voices to the characters, changing your voice to reflect a change in emotion, or adjusting the pace of the story. Why not encourage your children to say some of the words or lines, and join in key phrases with you. 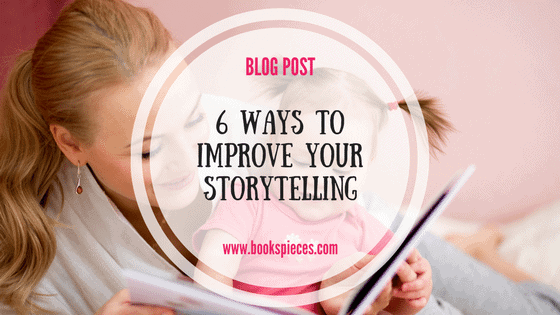 Get more tips for great storytelling from The Society for Storytelling. Let me know how you bring your stories to life in the comments below, or join the conversation on my facebook page. National Storytelling Week runs from 28 January to 4 February 2017. To celebrate, you can get an extra 20% OFF all books in my store by using the code ‘STORY’.